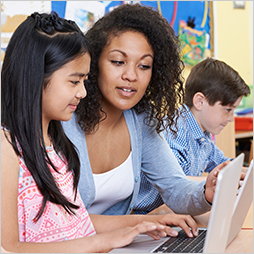 Queen Creek Unified School District is proud to be a participating test center for the ParaPro Assessment, a nationally required proficiency examination for paraprofessionals. Appointments are scheduled on an individual basis. Tests are given at 8:30 a.m. Cost: $65.00 - Payable by cash (exact change), check, or money order payable to QCUSD. Registration: Bring registration form, picture id, and payment with you to your scheduled appointment. You will have up to two and a half hours to complete the test. There are three sections: reading, writing, and math. Calculators are not permitted. Scratch paper and pencil will be provided. You will know your score as soon as you finish the test. You will receive an unofficial copy of your score that day. An official copy will be mailed to you within two to three weeks from ETS. For questions or additional information, please visit the ETS website.